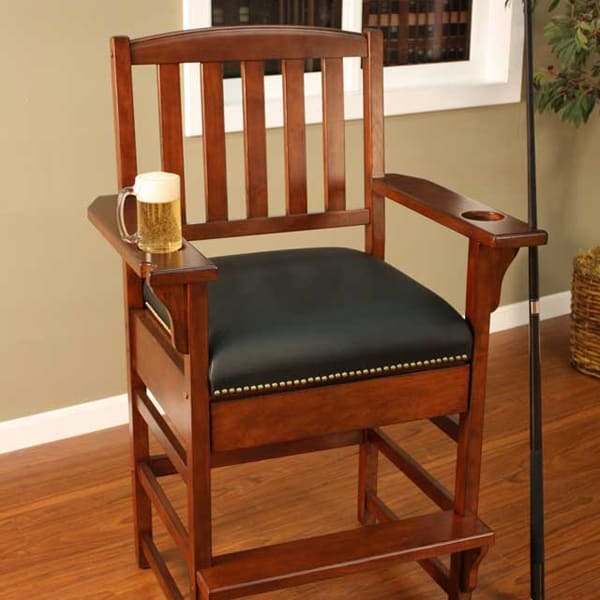 The King Chair is tailor made to sit in a game room beloved by billiards enthusiasts. 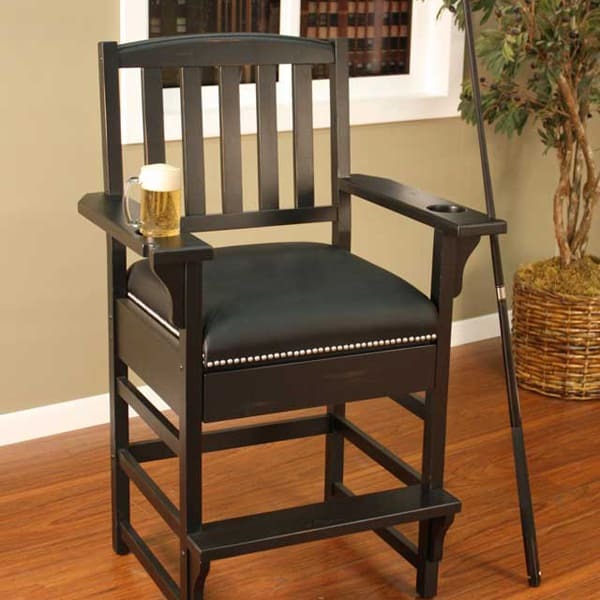 The chair is specifically made to sit aside home pool tales, with a storage drawer built in, a cup holder for beverages and a cue rest on the armrest. 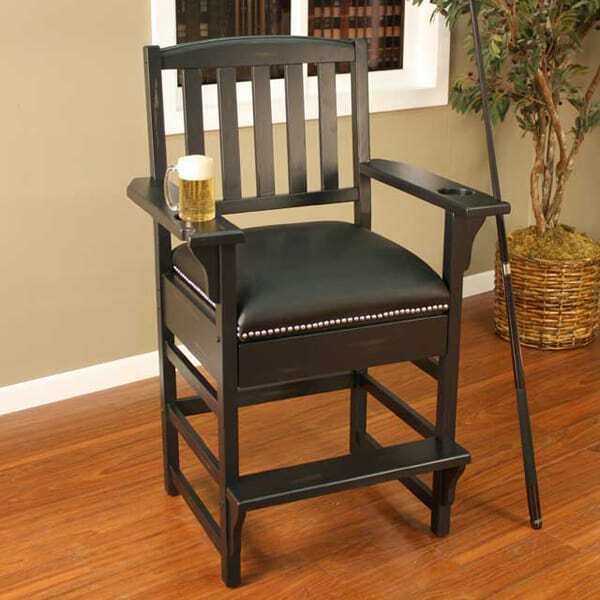 The King Chair provides serious seating comfort with a foam seat, and is made to last for a lifetime of use. It features a rigid construction with a full profile design and a five step finishing process that protects against surface damages. 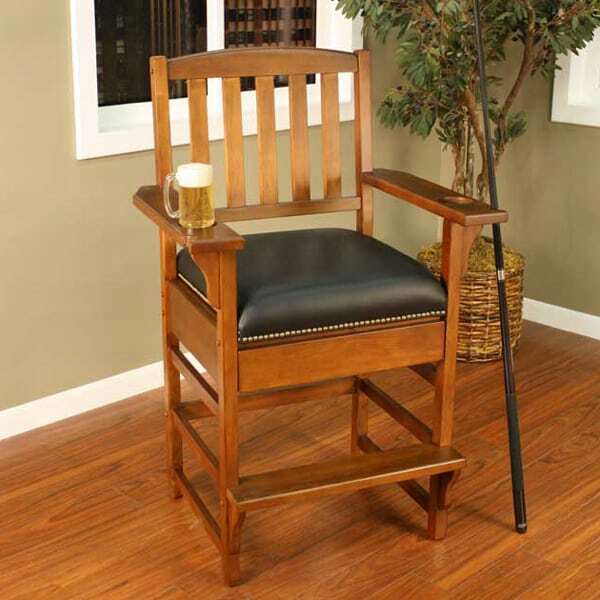 Choose from the large span of finishes, including Vintage Oak, Chardonnay, Suede, Sierra and Peppercorn style options. 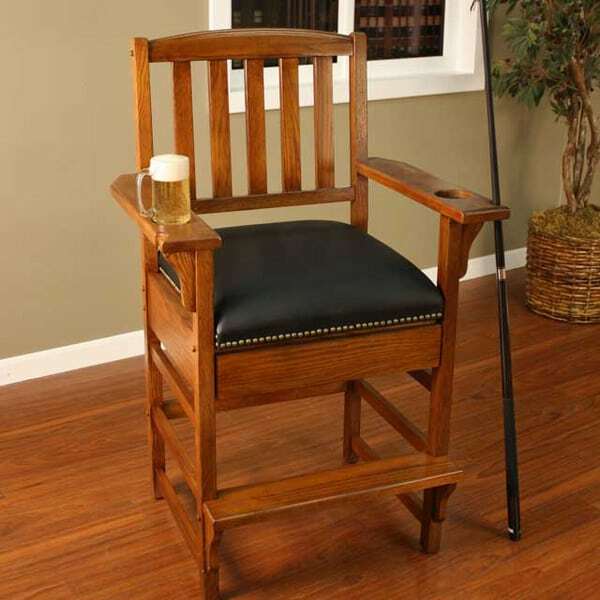 The King Chair awaits billiards-loving royalty!